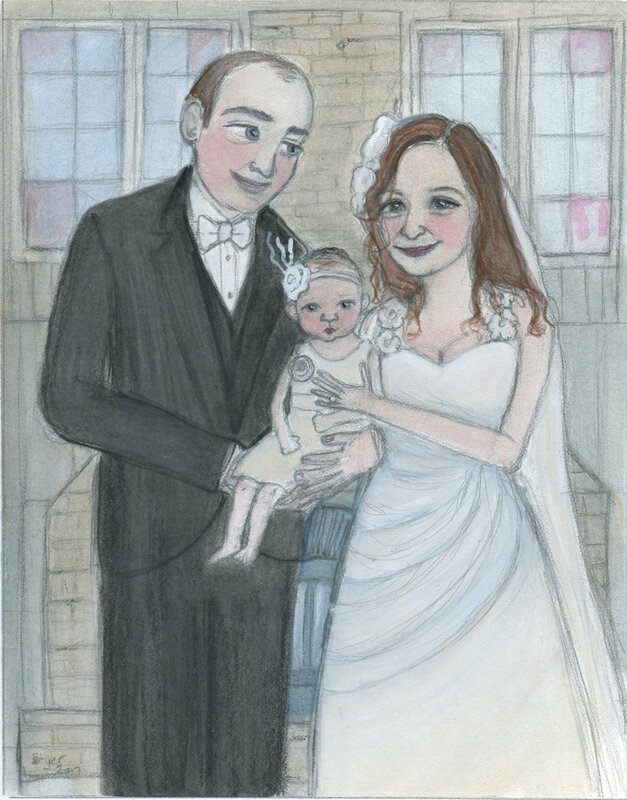 Would you like me to create a custom portrait illustration of you or your family? 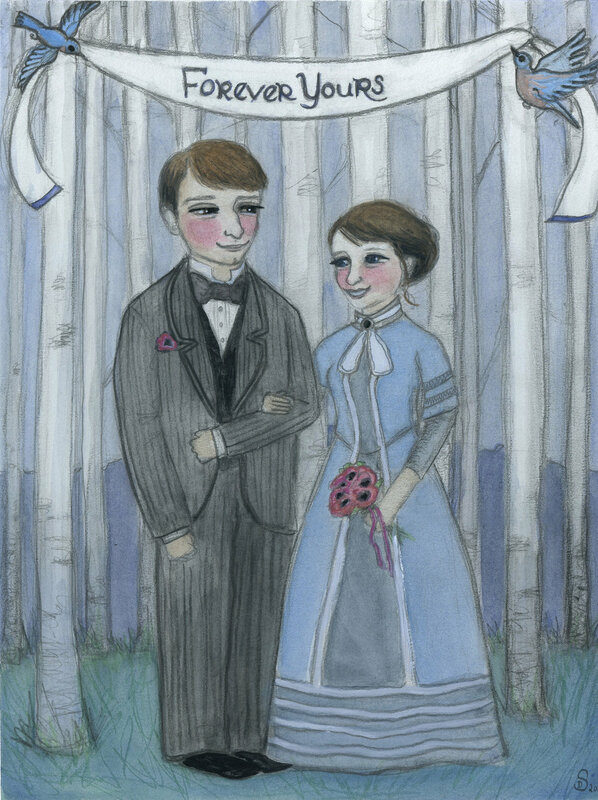 All of my custom portrait illustration were created by me with watercolor and gouache paints over a graphite drawing. Sound interesting? I can do all sorts of historically (Victorian, Edwardian, Contemporary ect.) inspired custom portraits including single person portraits, family portraits. kids portraits and couple portraits. I will even add a few of your furry family members too, if you would like. Just ask! Rates will vary based on the complexity of the piece, size and the amount of details included. Basic rates ($75 - $500). Sample prices: first price is for a simple single person or couple portraits, second price is for more complex couple/multiple person portraits. How it works: Send me an email to get the conversation started and ideas flowing. You will need a good reference photo or two of your subject to send me. Next, I will start working on the sketches, send these to you and make changes if needed. When everything is approved, I will start on the finished piece. When all is done, I send the illustration off in mail to you. If desired, I can send you a digital copy too. Sound fun? Let's start a conversation...just send me a note on my contact page. I am happy to answer any questions you may have. Each portrait will take approximately 3 to 4 weeks from start to finish. Very complex pieces may take a bit longer. THESE ILLUSTRATION SAMPLES ARE NOT FOR SALE.